Lind is dean of the Trinity Cathedral, located in downtown Cleveland, Ohio. During her 11 year tenure, she has led the development of Trinity Commons, an environmentally sustainable campus that is home to Trinity Cathedral and the Diocese of Ohio, and three fair trade shops. From 1989 to 2000, she was Rector of St. Paul's Episcopal Church in Paterson, New Jersey. She is a native of Columbus, Ohio and holds a bachelor's degree in urban studies from the Honors College at the University of Toledo, a master of community planning from the University of Cincinnati, and a master of divinity from Union Theology Seminary in New York, according to a church biography. In 2009, the Human Rights Campaign (HRC), the nation's largest gay rights group, honored her with an Equality Award. The 2003 ordination of Bishop Gene V. Robinson created a deep divide between the 77 million-member Anglican Communion and its more liberal American branch, the Episcopal Church. 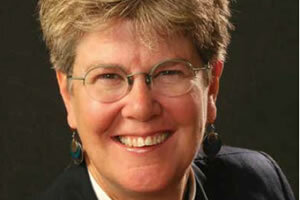 The elevation of a second openly gay bishop, Assistant Bishop Mary D. Glasspool, in May further divided the two churches.